If you've got the eye for art and can appreciate fine traditional handicrafts like embroidery and kantha, then you've got to check out this Kolkata brand's handcrafted garments and pretty handkerchiefs. You must check out their hand-stiched kantha garments. Pre-cut fabric yardage for tops and kurtas to stoles and dupattas - Rudhi's fantastic kantha collection is a must-pick for your wardrobe. Sporting whole body work in paisleys, florals and geometric motifs, these garments come stitched either in silk (stoles and dupattas) or in cotton (kurtas). The solid coloured stoles wowed us as did their kurta fabrics that come in customisable colours and pre-cut designs on the necklines. Rudhi's stoles are priced at INR 1,450, the dupattas at INR 1,950 onwards and the kurta fabric at INR 850 (for 3 metres ). We met owners Pratnashree and Angana at an exhibition, and their hand-embroidered handkerchiefs immediately caught our eye. Made in pure addi (a kind of soft cotton fabric), Kolkata brand Rudhi's hand-stitched dainty little pieces will dunk you in pure nostalgia and prettiness. Wet tissues have somehow taken over our world but they are not at all good for the environment, so we suggest you switch back to good old handkerchiefs. With round scalloped edges or lace detailing, they have embroidery ranging from floral motifs to minimal animal motifs like butterflies or bird's nests which are slightly bent towards classic European designs. 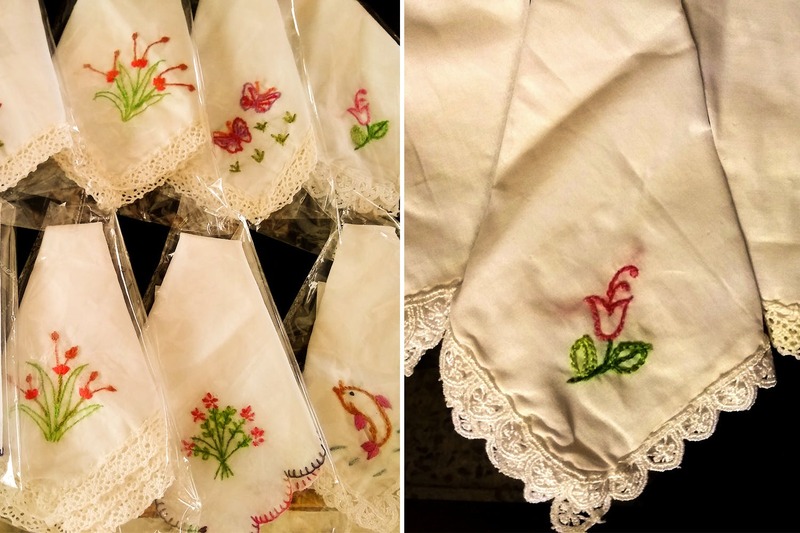 Completely customisable, these kerchiefs are available as individual pieces (ranging between INR 50-70) and even as sets of four (ranging between INR 180-250). Rudhi delivers across the state (delivery charges extra). But customisable products take a little more time than the usual 7-10 days. So, remember to have some time in hand when you shop at Rudhi.